Hello guys. 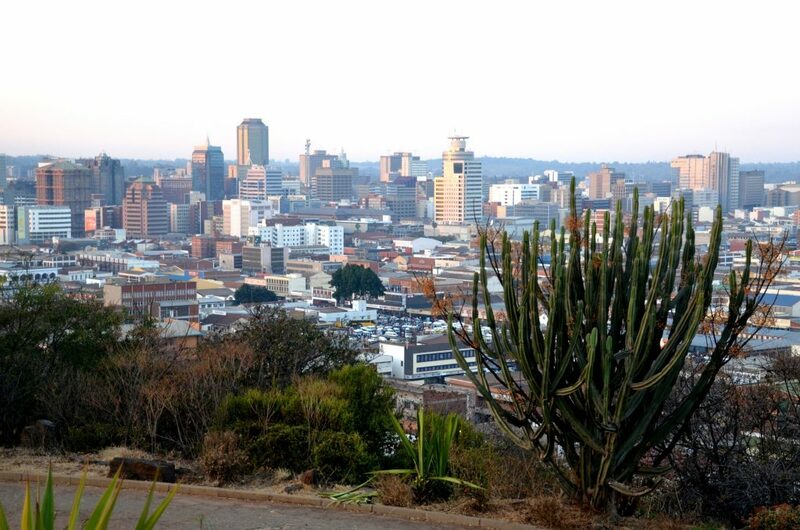 in today’s article, we will look at Job sites in Zimbabwe. getting a job in a place like Zimbabwe could be pretty tough and finding a job that really fascinates you could be more of a challenge. So to save Zimbabwean’s the time, we have decided to bring to you a list of Job sites in Zimbabwe. and to foreigners too, you are not limited of getting a good paying job in Zimbabwe courtesy of Job sites in Zimbabwe. Quite a number of people in Zimbabwe might be jobless. but with assurance, you will be getting a job good job in Zimbabwe in no time. So take your time, and go through the article, and you will be happy you did, because there’s no way you will have to go through this article and end up not getting something. 1.25 What is Zimbabwe employment rate? 1. U.S embassy offers job in the Zimbabwe Embassy. 2. Hot Zimbabwe jobs Zimbabwe job portal, got lot’s of opening. 5. Indeed.com indeed.com is really helping in the job recruitment sector. 6. NGO jobs in Africa This one, it covers Africa. 7. DHL into logistic, and have some job openings. 8. Business Daily Get daily job alert into your inbox. 9. mpactpool Impact pool has been one of the best job site for a long time. 10. Tip Top jobs This site offers stay at home job for all job seekers, who intend to stay at home. 13 Careermine Careermine Offers jobs in all of Zimbabwe cities. 14 AIM Group AIMGroup does it better. 15 Naukri.com you must have hear of this site before, its another prominent one. 16. Recruitment matters Africa when it comes to Africa, this one has Zimbabwe in mind too. 17. CV People let your curriculum vitae speak for you. 20. Glassdoor Get the latest job vacancies here. That was just a table of Job sites in Zimbabwe, sites you should be expecting. some people might have used this sites before, it would be great to share your experience in the comment section so as to be of help to others and what you expect from the job sites. lot’s of people would love to work in the Embassy, though it’s stressful, but better still there are openings in the U.S Embassy in Zimbabwe. And U.S Embassy in Zimbabwe is the official job portal used in recruiting people in to the Zimbabwe U.S embassy. Another cool Zimbabwe job portal use to offer and let the Zimbabwe people know of job opening. Hot Zimbabwe job though i hadn’t really done exploit there, but i could still assure you that the site is good. With this site, you get all round notified, get updated on hot Zimbabwe jobs daily, and there’s a mobile app, you can get it here. Glimpse of that site will give you something you want to get. Job Zimbabwe is another good Zimbabwe job portal, it is Zimbabwe based job site where you search for jobs by location and region and category, this awesome site has jobs around the whole of Zimbabwe. It is good, Because it’s a convenient and a free way to look for job in Zimbabwe and don’t forget to subscribe to their newsletter or whatsapp channel. World Vision international is a great job portal, they offer you job opportunities in Zimbabwe. A great career site to keep in touch with. This is one of the most popular job boards for Zimbabweans, It is a super great website that offers jobs in all categories. Indeed.com is a great site that has been doing the business for as long as i could remember, they’ve been doing pretty good job. Indeed.com takes everybody along and leaving no one behind, so if you think Zimbabwe. NGO jobs in Africa covers the whole of Africa when it comes to jobs and career thing’s. And they’ve got huge interest in great countries and Zimbabwe is one of them. DHL as we all know is into Logistics. But don’t you also want to be into logistic, or wouldn’t you love to work with them. So DHL has their official job site and this is it. Zimbabwe business directory they say, but this site has a number of job opening for young Zimbabwe fellows. Get latest updates on business and companies on this site. Luck for Zimbabwe to have a wonderful Universal job site like Impactpool.com a career resources and coaching site. Impactpool has really stand up for Zimbabwe when it comes to jobs and employment. Tip Top Job is yet another great site which you have to source for stay at home jobs. If you really don’t want to leave the comfort of your home and all you need is a job you could do at home where you could have a close sight of your kids, then it’s Tip top jobs.com. Work at home jobs in Zimbabwe is possible with Tip Top job. Zimbabwe vacancy and job portals, full time jobs, part time job and freelancing. this site has good job enlisted on their job board for those intending to have a second source of income, thereby going for a second part time job. Kubatana.net is kind-of a social site with lots of stuff going on there. They also offer job openings too, a Zimbabwe based job site. Career mine is a mining job board and portal for Africa. Africa being on the high side when it comes to mining, and there’s careermine just for that. Careermine have a number of mining job in Zimbabwe, and you need a mining job or not. you’ll be put to the training and you will be out in the field. For skilled graduates or professionals seeking for employment in the mining field, Careermine got your back. Recruitment matter Africa has really got Africa covered, and Zimbabwe at large. Recruitment Matters Africa Is your regional recruitment specialist, now recruiting in your region, Zimbabwe. And has got over a hundred jobs daily, All jobs in their category just for you. With your CV, companies will reach out for you. This site offers job in Categories, and you get daily notification and updates. so, start get daily job alert around you and jobs nearby. Giga job.com is another great job portal for the Zimbabweans and Africa at large. Their focus is to bring together great employers and skilled employees. Find jobs on Gigajob Zimbabwe , apply and get jobs here. Glassdoor too, has Zimbabweans in mind. What is Zimbabwe employment rate? From 5.18%, Zimbabwe unemployment rate fell down to 5.16%, and this happened in just one year. We’ve come to the bottom line of Job sites in Zimbabwe, and this brings us to the borderline of this article, and so far we believe that you must have gotten something of good value. So, i believe you have made a catch, there’s not just one, not two, there are more, and i believe you have taken a decision. And please don’t forget to leave your feedback, comment and suggestions below in the comment section, we really appreciate your feedback.